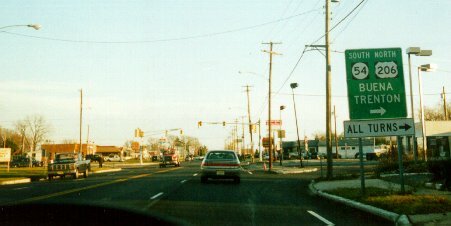 US 206 turns into NJ 54 at US 30, as seen here from eastbound US 30 near Hammonton. Photo by Adam Froehlig, taken late November, 1999. 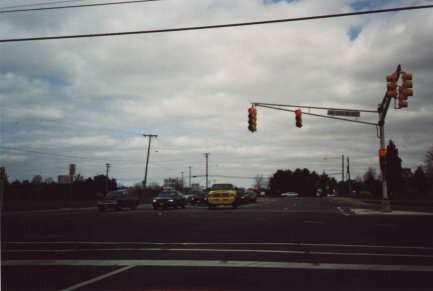 This is the view looking northbound from NJ 54 to US 206. Photo by Adam Froehlig, taken late November, 1999. Looking southbound along US 209. US 206 is within about 1/2 mile of being a one-state U.S. route. Photo by Doug Kerr, taken July 27, 2000. 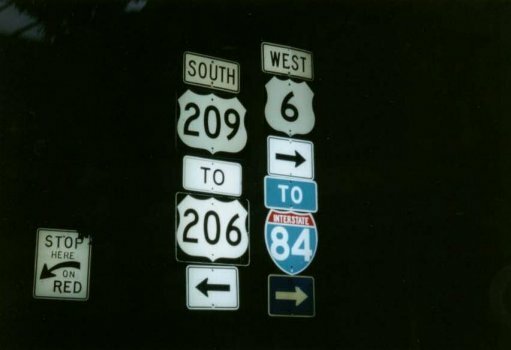 Signage from the US 6/US 209 intersection, showing TO US 206. In the past, US 206 might have had a short duplex with US 209 to end here at US 6. Photo by Doug Kerr, taken July 27, 2000.